The Freight Transport Association (FTA) has welcomed new government figures that highlight a reduction in the number of fatal accidents involving heavy goods vehicles (HGVs) on the nation's roads. Overall, the number of fatal accidents per one billion lorry miles in the UK fell by 3.5 per cent in 2014 and represents a reduction in the proportion of HGV-related deaths of 43 per cent over the last ten years. In total, 240 cases of individuals losing their life in HGV-involved accidents were reported last year, and while this figure continues to prove troublesome for the industry, it is almost half the number recorded in 2005. FTA head of national & regional policy and public affairs Christopher Snelling commented: "Whilst this has been a challenging year for road safety, these figures illustrate that our industry's approach is making progress. We want to keep going as an industry to play our part in making road transport as safe as it can be. "Improved HGV vehicle designs and safety features, as well as improved driver training and management, will be part of this." 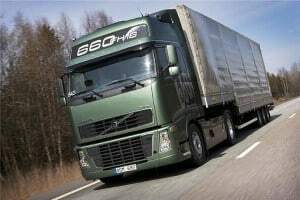 He added that, in addition to ongoing efforts by UK hauliers to tackle issues surrounding road safety, the FTA believes more targeted enforcement of existing HGV driver and vehicle regulation against seriously non-compliant operators should now be a priority.